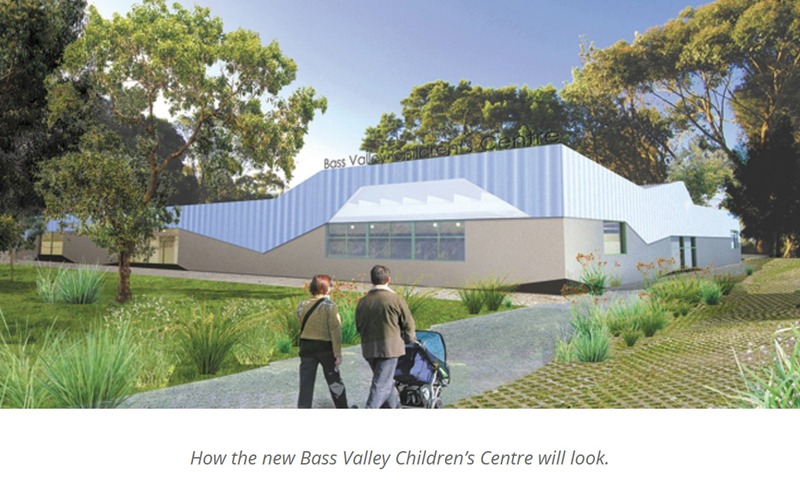 WORK on the $2.5 million Bass Valley Children’s Centre in Corinella will commence this financial year with all the funding now secured and the tender process set. A State Government grant worth $900,000 was secured by the Bass Coast Shire Council, and the council contributed $1,527,128. The community raised the balance. “This is a great project that we will see through to its completion,” Cr Brad Drew said. Cr Clare Le Serve, who has been heavily involved in the project, said she was incredibly proud of the community for its hard work. “They’ve followed this process right from the start. They put forward all the documentation for a feasibility study and then a business case for this centre,” Cr Le Serve said. Cr Le Serve also commended the community for its fundraising efforts and their unwavering support in the project. “The community has raised more than $75,000 already, and continue to raise money. “So many young families have been involved, and it’s been really well received in these Waterline communities that have limited opportunities regarding early years education. The construction of the Bass Valley Children’s Centre is a major project that has been developed in partnership with the community. In the past year the design process has been completed, with the project now at the stage where the building and construction tender can proceed. The Bass Coast Shire Council has spent five years working with the community to deliver this project, which the Bass Valley Primary School has committed to running.